New forms of information technologies are revolutionizing politics in the Muslim World. This article presents political analysis of the complex global and historical socio-cultural impact of new media specifically social media by exploring two cases, i.e., the green movement during the Iranian presidential elections during 2009 and al-Qaeda’s radicalism in the virtual world. The analysis finds that Islam and Muslim societies are compatible with new forms of information technologies and that the difference between real and virtual is blurring in the modern Muslim World. 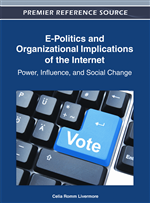 The political potential of new forms of information technologies – social networking, text messaging, blogging, phone cameras, viral messaging, You-Tube, and e-marketing – became more than evident in the Presidential elections in 2008. Ariana Huffington, the Editor of Huffington Post observed “Were it not for the Internet, Barack Obama would not be president. Were it not for the Internet, Barack Obama would not have been the nominee” (Miller, 2008). Barak Obama out reached, out messaged and raised much more money than John McCain to become the first black man and perhaps the first wired President in the White House. While the spectacle of his victory was captivating, it was not too surprising because by now the world had a very good idea of the potential of E-Politics, they were just relishing its realization on such a grand scale (Davis, 1999). The new technologies are clearly transforming how news and ideas are disseminated and consumed, creating new producers and new consumers and in the process transforming the demographics of political players and the nature of politics itself. The vast reach of the new technologies, the relative low cost to start and maintain them, and their continuous and immediate global accessibility has both democratizing as well as transformative impact on society, politics and policy. Compare the time, expertise and investment required to set up a blog like Huffington Post and a newspaper like Washington Post and then reflect on the fact that former is read by as many if not more people than the later in the cyberspace. Make the same comparison between V-blogs disseminated through YouTube and marketed via Twitter, Facebook and CNN and you will understand the promise of true democratization that E-politics presents. New technologies in conjunction with global finance, global markets, neoliberal economic ideologies and global transport have truly ushered in the structures that facilitate globalization. Add to this the globalization of Diasporas and you have the highways in place for rapid globalization of identities, consciousness and values. Islam is perhaps one of the biggest beneficiaries of these new highways to globalization and Islamic ideas, identities, agencies and interests are now pervading the fabric of global society capitalizing on the new forms of networking. Two conditions – global Muslim presence and the new technologies that link them in varied ways – have made Islam and Muslims a global force that is shaping and reshaping both Muslim as well as global realities. Pioneering scholars like Dale Eickelman, Jon Anderson, and Gary Bunt among others have done an excellent job of describing how Muslims use the Internet and other new technologies to connect, to network, form interpretative communities, discussion groups, mobilize for political action and engage in producing and distributing knowledge (Bunt, 2003; Eickelman & Anderson, 2003). Islam is a major topic in every form of digital media and both Muslims and non-Muslims now engage in studying and spreading it. National Public Radio did an excellent survey of Islam on the Internet (“Islam on the Internet”, 2002) and drew attention to the emerging debates on Islam and between Muslims.